Both decorative and functional, corked bottles have any number of uses, such as oils, vinegars, wedding favors, plus beauty and bath products. 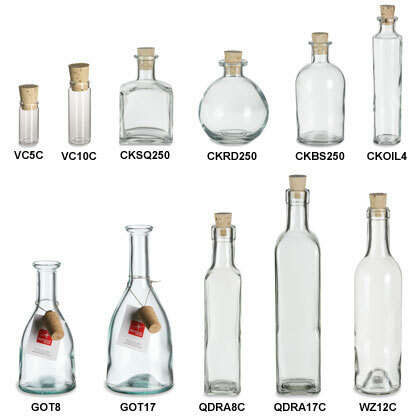 Choose from an assortment of stylish bottles, including the gotica, quadra, and woozy styles. All prices include the cork top.